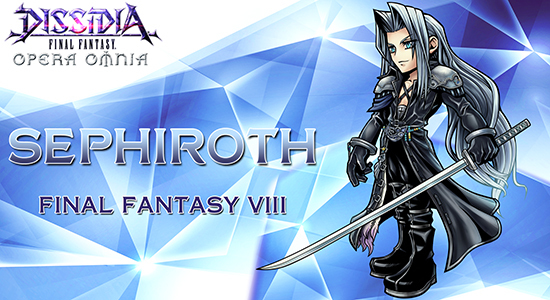 Now through October 14, 2018, players can add Sephiroth to their roster by completing the “One-Winged Angel” character event. Over six million players have joined Dissidia Final Fantasy Opera Omnia across the Japanese and global versions of the game. The current roster of 68 Final Fantasy characters in the global version of the game includes fan favorites like Cloud, Squall, and Terra, and enigmatic villains like Seymour, Kuja, and now Sephiroth. “A Cactuar Conundrum” Limited-Time Quest – Players can challenge this quest to earn large amounts of EXP, crystals, and gil. By completing event missions associated with this quest, players can also earn valuable Armor Tokens. Story Clear Event Missions – By clearing story chapters, players can receive Silver Autumn Tokens and Gold Autumn Tokens, which can be exchanged for a total of four 5-star weapons. Daily Mission Rewards – Rewards are doubled for all daily missions. Special Login Bonuses – All players will be treated to a series of login bonuses including Draw Tickets, Relics of All Knowledge, Potions, and more. Dissidia Final Fantasy Opera Omnia is available now as a free-to-play app (with in-app purchases) through the Apple App Store and on Google Play.